I purchased this pedal from my friend (he was the original owner) for $95 sometime in the late 90s. You'll see in the photos that the original price on the box reads "$95". I guess I am not a very good bargainer! This is a great distortion box -- IMHO, one of the better sounding ones available for a distinctive yet versatile rock and roll tone. If you've heard/played a classic RAT or one of the others in the RAT series, this one has a similar sound -- you could say a RAT on steroids. The harmonically-rich...well, "ratty tone" is definitely there. 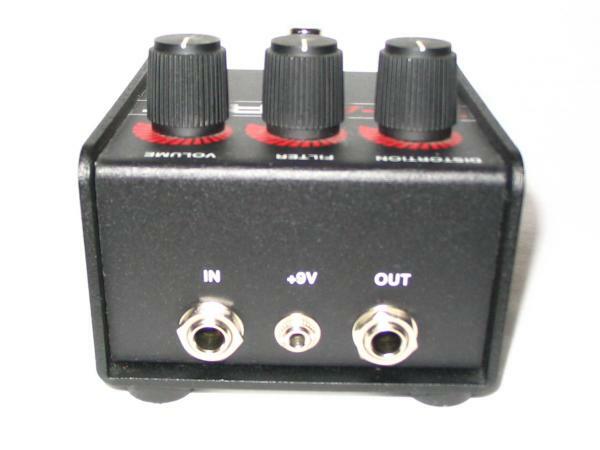 In addition, the Turbo RAT offers a very high output which is ideal for overdriving the input stage of a tube amp. The sustain you can get with this pedal when cranking the "Volume" and/or "Distortion" knobs is excellent. There is a lot of flexibility available for rhythm or lead work through just tweaking the knobs. I have used this pedal for both guitar and bass. 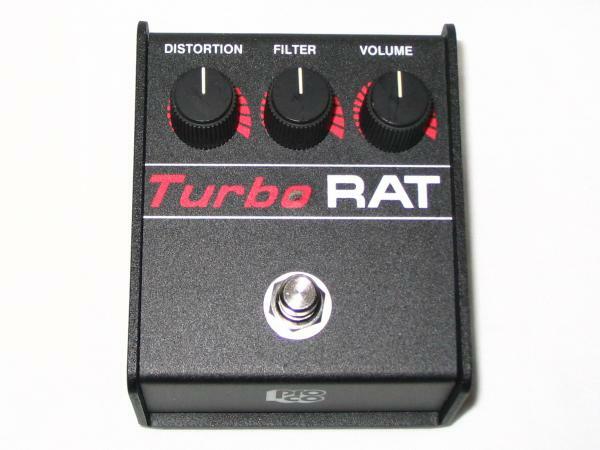 I've heard that other bass players like the Turbo RAT, and even the Pro Co literature says this is the "RAT of choice" among bass players. For bass, I sometimes like a lead/boost with a little bit of dirt and the Turbo RAT delivers well. If so inclined, you can get pretty crazy with this pedal (distortion-wise) without sacrificing the lower end of your bass tone. Same thing applies to guitar -- if you like your tone with heavy low end, this pedal can deliver distortion without cutting that low end off. This thing is built like a tank and has received minimal gigging use. Cosmetically excellent, no issues, works great! 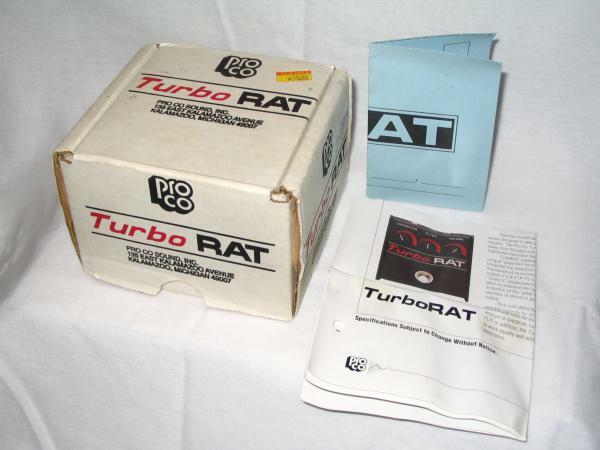 Check out the "Links" section below for more information about the Turbo RAT directly from Pro Co's website. 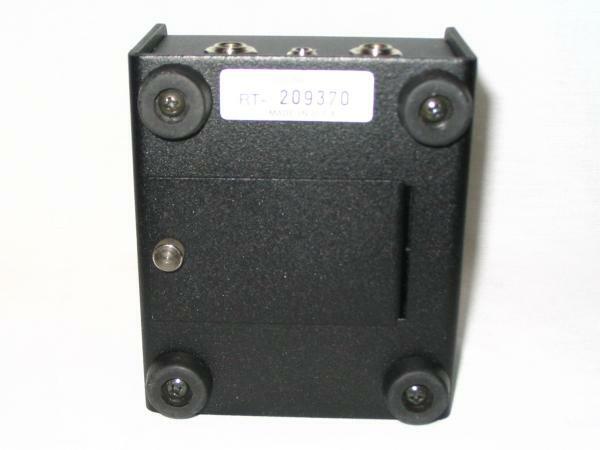 Pedal ships with a new 9V battery. 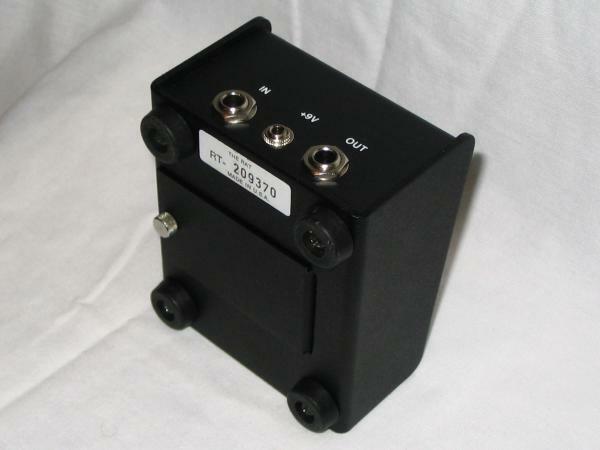 If you are the winning bidder, check the bottom of the shipping box in the packing materials for the battery. Why am I selling? Well, mostly financial and time considerations. I don't have much time to play guitar anymore. When I do play out, it is only on bass and even that doesn't happen very often. As they say, I am "thinning the herd" and minimizing the gear I have on-hand to the bare essentials. Anyway, my loss is your gain. At $1 starting and NO RESERVE, you can't go wrong! Current new retail price is around $90. Whether you are a metal head, a classic rocker, a punk, whatever...I think you will love this pedal.